Czech artist Jitka Hanzlová (born in 1958) explores in her various series of photographs the individual, his surroundings, and the landscape in which he lives. 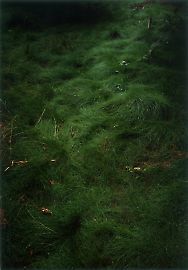 In so doing, she often approaches the sites of her childhood, an aspect that she describes in the following terms. 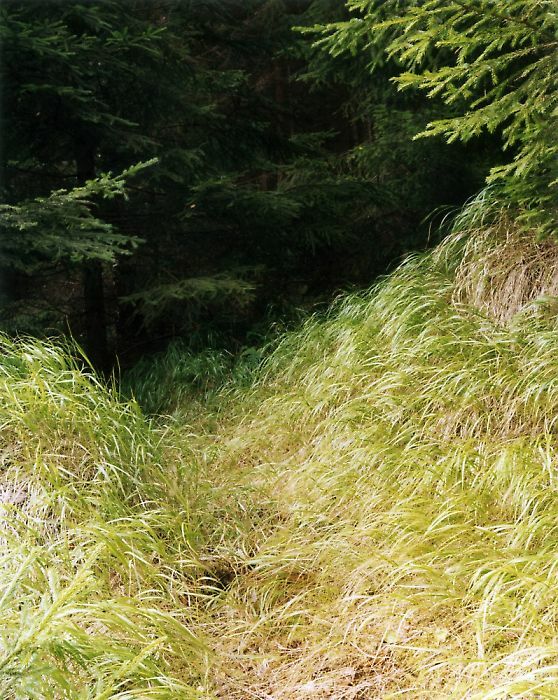 “The path that I take is a path back to look into the future.” She dedicated her first extensive series Rokytník, made between 1990 and 1994, to the small Czech village of the same name, which she visited regularly over a period of five years. 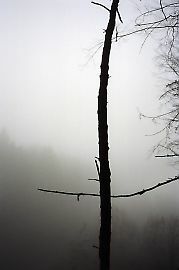 While in this and other work groups, she prefers sociological aspects with a documentary-seeming aesthetic, in the series Forest (2000-2005) she allows mythological dimensions to resonate. 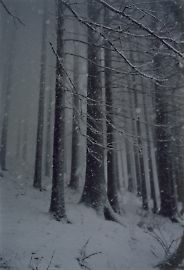 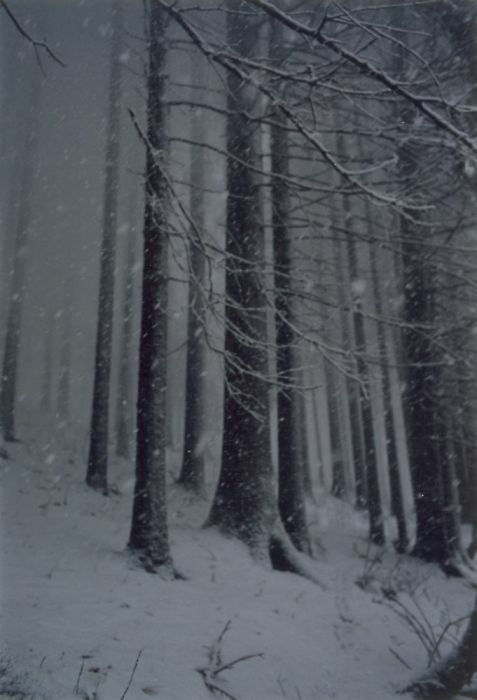 Hanzlová took photographs in the forests of her Czech homeland near the Carpathian Mountains. 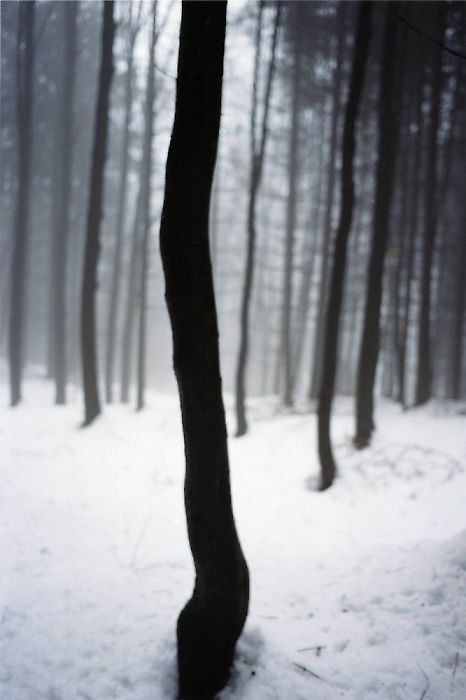 She shows the forest as a metaphor, as a concrete landscape, but also as a site where the line dividing fantasy and reality becomes thin. 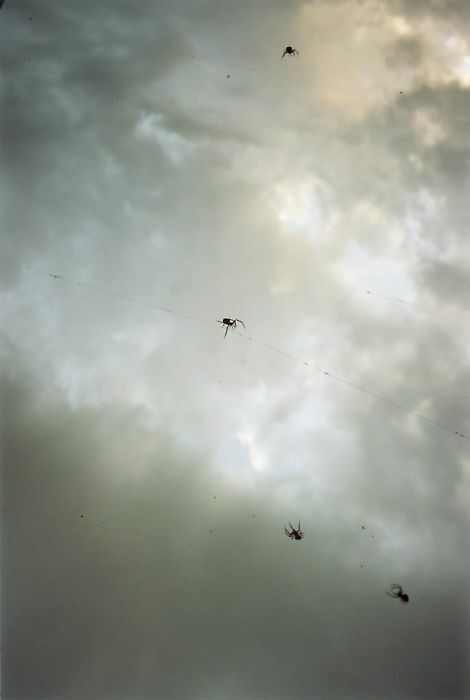 Her photography, which is never subjected to editing after being taken, is striking in both its objectivity and its sensitivity. 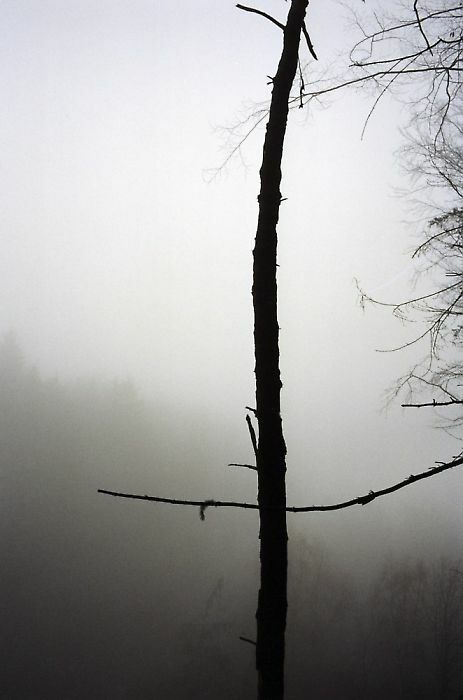 Their composition always seems refined, and yet random, the tones are tender and fragile, and yet lend a palpable materiality to what is represented, making them seem unnaturally close. In 1982 Jitka Hanzlová came to Germany, studied visual communication with main focus photography at University Essen (1987-1994), in 1993 she was awarded the Dr.-Otto-Steinert-Preis by the Deutsche Gesellschaft für Photographie, in 1995 she received the DG BANK Frankfurt scholarship, in 2003 the Grand Prix, Arles, and in 2007 the Paris Photo Prize for Contemporary Photography. Her work has been shown in numerous international individual exhibitions, including the National Galleries of Scotland (2013), the exhibition Billboards at Kunsthaus Bregenz (2008), Museum Folkwang in Essen (2006), Stedelijk Museum, Amsterdam (2001), or Deichtorhallen Hamburg (2000).